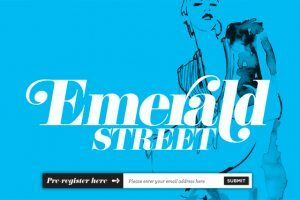 Women's lifestyle email, Emerald Street, is to launch a Manchester edition on October 24th. Published by Shortlist Media, the makers of Stylist magazine, Emerald Street launched nationally in 2011 and now has 150,000 readers. Emerald Street Manchester will feature the latest in fashion and beauty alongside the best restaurant openings, talking-point exhibitions and events that Manchester has to offer, as well as longer pieces aimed directly at Manchester women in their 20s and 30s. The publication will also reward subscribers with exclusive offers and competitions. It's Emerald Street's first edition outside London.